Richard Venables, QPM, joined South Yorkshire Police in 1976. He has been commended on six occasions within his service for carrying out complex investigations in addition to his work in mass fatality identification. Richard was on the ground as a uniformed officer during the Hillsborough Disaster of 1989, an event that led indirectly to his career in Disaster Management and Disaster Victim Identification (DVI). Initially allocated responsibility for temporary mortuary management and training within his home force, he went on to become one of the leading authorities on the subject within the United Kingdom. He was invited to join the National Crime and Operations Faculty in 2002 to design, develop and deliver the training for Senior Identification Managers and to provide operational support and training in mass fatality victim identification to Police forces and partner agencies. 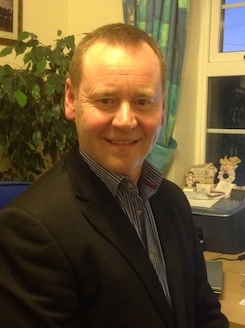 A member of the UK government’s Major Disaster Advisory Team (MDAT), Richard has had experience in the set up, operation and management of temporary mortuaries following several rail and air crashes over the past 20 years, as well as the Morecambe Bay cockle pickers in 2004 and was at the pinnacle of his career when the Asian Tsunamis of Boxing Day 2004 claimed 230,000 lives. Richard set up the repatriation mortuary at Fulham before going on to recover the bodies of UK nationals from the areas worst hit by the Tsunami. Richard was until 2009 responsible for operational support in the event of any mass fatality incident occurring in the UK and has acted as advisor to the Government Mass Fatalities programme. He has also regularly lectured as an associate tutor at the Cabinet Office College and at Teesside University. In HM The Queen's 80th Birthday Honours List in June 2006, Richard was awarded the Queens Police Medal (QPM) for Distinguished Police Service in recognition of his work in Disaster Victim Identification. Richard is 56 and lives in South Yorkshire. He is married to Karon, with two children, two stepchildren and eight grandchildren. Richard Venables’ win at the People’s Book Prize was covered in BookBrunch. Congratulations to Richard Venables and Kris Hollington, last night their book A Life in Death won the Non-Fiction book prize at the People’s Book Prize award ceremony, presented by Frederick Forsyth. Two other agency titles were also shortlisted: Louise Moir for Irreplaceable (non-fiction), and David McGrath for Rickhaw (fiction). Two agency titles have been shortlisted for the People’s Book Prize ceremony, which will take place in May: A Life in Death by Richard Venables and Rickshaw by David McGrath. Both books were published by Thistle Publishing. Richard Venables’ extraordinary memoir A Life in Death moved into the Amazon top ten bestseller list at the weekend, reaching #7. 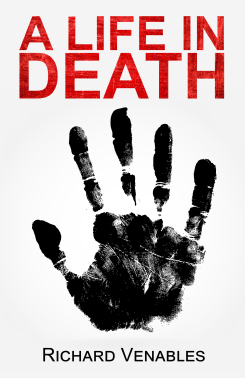 Richard Venables’ powerful new police memoir A Life In Death has been receiving lots of press coverage. The book was released last week by Thistle Publishing.